For some time now I’ve been wondering about road bikes. 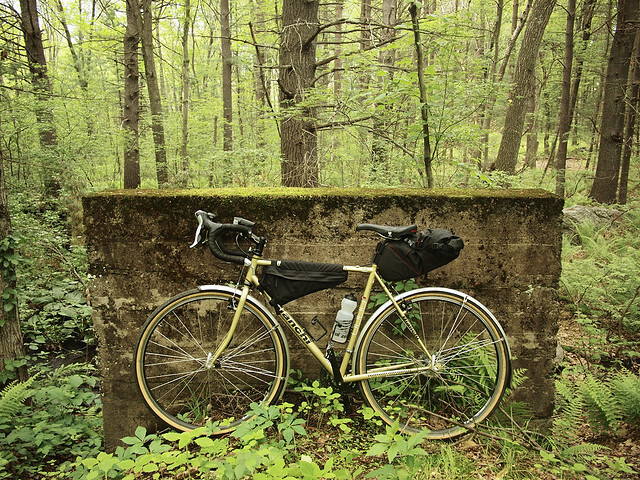 I really enjoy the combination of speed and comfort my Bianchi Volpe provides; the 35mm tires can handle everything from bad pavement to unpaved trails while still being fast enough on the road. It’s a versatile commuter and exploring bike. My Bianchi Volpe in commuting mode. By comparison a road bike seems almost limited. Still the idea of a lighter, more responsive bike than the Volpe in its current guise has appeal. Modern road bikes made of aluminum and carbon fiber don’t interest me very much so I began looking at classic ’80s racers and their sleek steel frames. 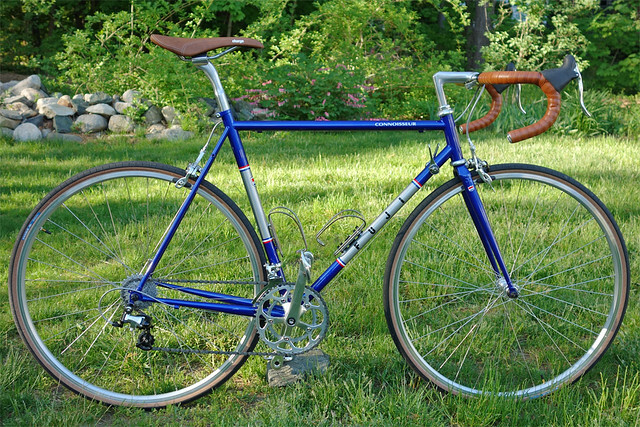 I was considering restoring an ’87 Schwinn Circuit when I came across a sale on some 2010 Fuji Connoisseur leftovers. This is a throwback model that has all the styling of an 80s bike with a modern welded Reynolds 725 frame and was being cleared out at a price that made it hard to resist. The frame is finished nicely with details such as lugged dropouts and fork crown. The downtube shifters work well and give the bike a very clean look, eliminating the extra cables around the headtube normally seen in a bike with handlebar mounted shifters. I made a few changes to the bike right away; the 23mm tires were changed for some Resist Nomad 28s and the heavy steel 52/42 crankset was replaced by a Sugino 48/34. The stock saddle, while not terribly uncomfortable, was changed to a Charge Spoon. With these changes the bike weighs 23lbs with sadle and pedals – a respectable weight for a steel bike. Compared to the Volpe, the Fuji is more responsive to both pedal and steering input, quickly getting up to speed and changing direction more readily. My position on the bike is also more aggressive with the handlebars several inches below the saddle and a longer reach, which encourages spirited riding while still being comfortable. The bike is a lot of fun to ride and I expect to be grabbing it for some fast road rides.